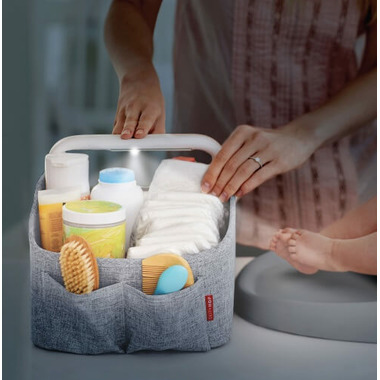 Skip Hop Nursery Style Light-Up Diaper Caddy sheds some light on middle-of-the-night diaper changes with their modern diaper caddy! The handle shines softly with a touch sensitive light and a 10 minute auto-off feature. 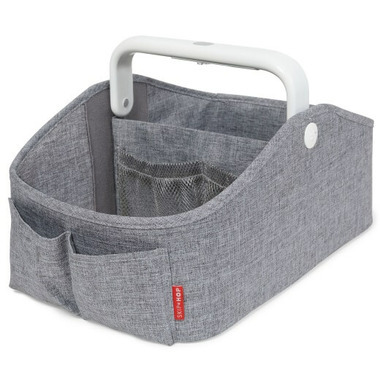 Organize diapers, wipes and more with a modular divider and four pockets. The light on top of the caddy doesn't work. It works when it wants to but doesn't work every time you hit the button. I wish it did I would've recommended this caddy. Loved it. So useful. 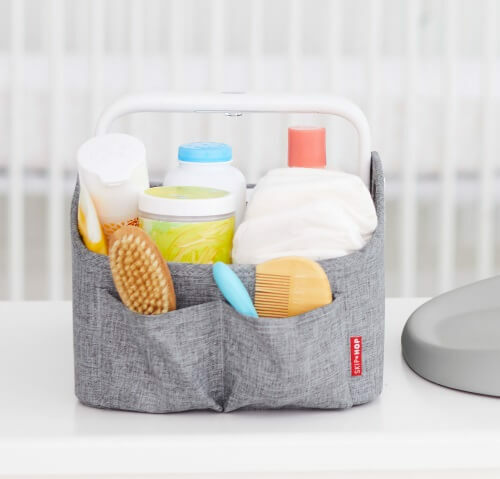 When shifting from room to room, instead of transferring all of baby's stuff one by one, you can do it in one go with this caddy! Would recommend to everyone!